Mexico – Sinoloa « R-V There Yet? We are in San Carlos, Mexico, which is a coastal neighbor of the city of Guaymas. We are doing several things now that we haven’t done in a long time. First, we are watching TV on our own TV set. We haven’t had TV since we left Sayulita and that was only because we were hooked up to some friends’ TV. The one good thing about not having TV is we haven’t been bombarded with politics and all the talking heads. We certainly did not miss that. Second, we have our furnace on to get the morning chill out of the air. All we have used in the last few months is an electric heater early in the morning. Hope we don’t have to use it very often in the next few months. 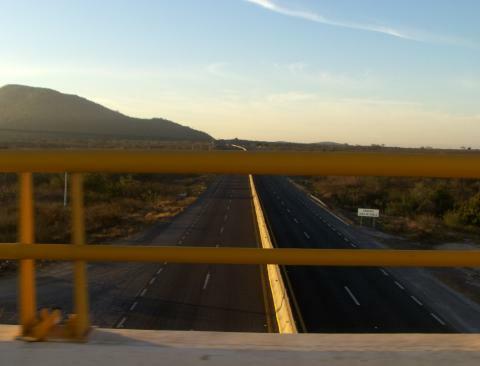 After passing through Mazatlan we got on a real 4-lane, divided, toll road to Las Mochis. Really quite nice. 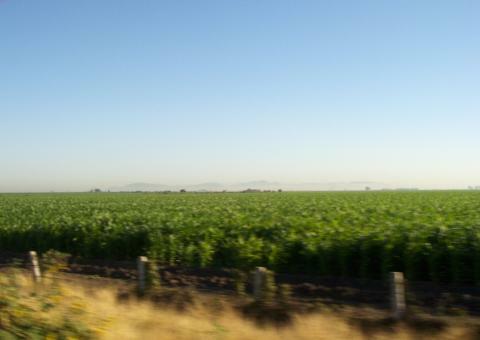 We had a long (500 miles) drive ahead of us with San Carlos, MX as our destination for next night. We had planned on getting up at 5:30 AM but our alarm rang at 4:30 AM and we had a leisurely morning until our departure at 6:30 AM. We don’t normally try to cover that much territory in a day, even in the US. This was our longest travel day ever. We arrived at our destination about 3:30 PM. 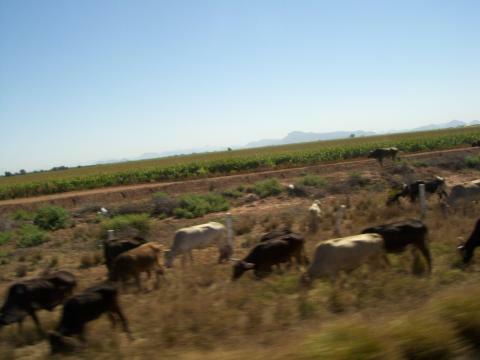 The state of Sinaloa covers an area from south of Mazatlan to just north of Los Mochis. It is an incredible agricultural area. Looking at all of the corn, you might think you were in Iowa, except for the mountains in the background. 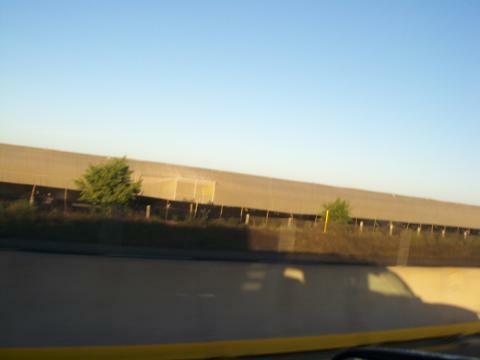 These huge screen tents are covering acres of tobacco farms. About every 100 yards there is a door that allows people to enter and exit. 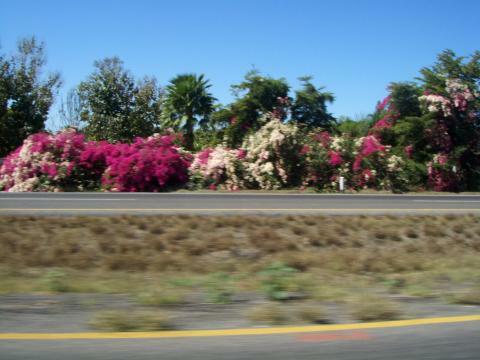 The foliage along the road in Sinoloa was beautiful. The bougainvilleas have become our favorite shrub. They are magnificent in spots. It makes a gorgeous wind break. Along the road and at the some of the toll plazas, the stunning decoration is rows of trees with gorgeous orange leaves. Sorry we don’t know the name of this tree. Please comment if you know. Due to their extended growing season, I’m sure that they can have multiple growths of crops and spread out the planting to ease the picking. We saw corn growing in various stages of maturity. Tomatoes were being picked and the oranges were also ready. Heaping truckloads of tomatoes. Not all of them made it to the processing plant. 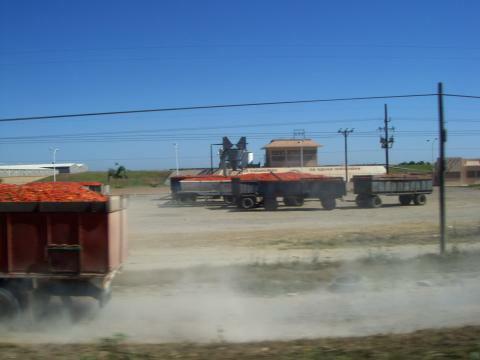 We followed a 30 mile trail of tomatoes dropped occasionally from an overloaded truck. Cemeteries were found at frequent intervals along the road. 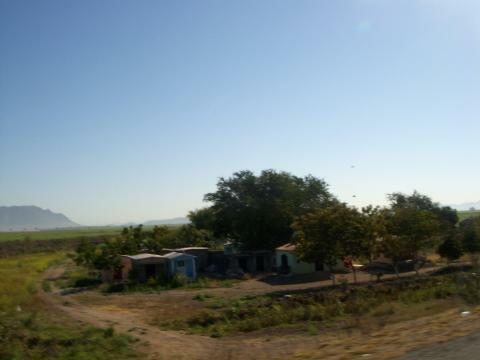 Once we passed the town of Los Mochis, at the north end of the state of Sinoloa, we headed into the state of Sonora. This state goes all of the way north to the Arizona border and is mostly a scrub brush desert. As soon as we entered the state of Sonora, the condition of the roads significantly degraded. Basically, the roads had long, rough stretches of repaired pavement and the shoulder all but vanished. This is toll road. 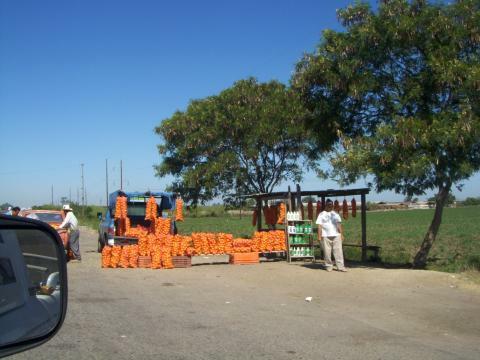 It is not uncommon to find tractors and other farm implements on the toll road in Sonora. They are not allowed in Sinoloa. Here are some cowboys herding cattle on the edge of the toll road. 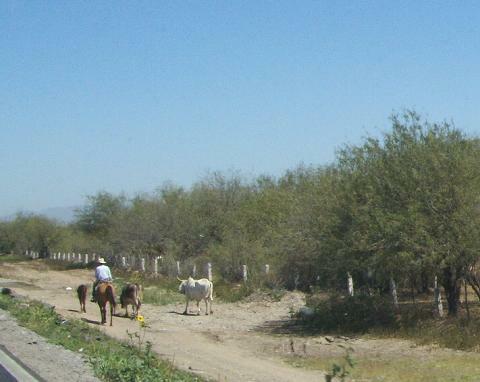 Some cattle graze alongside the road without the benefit of a cowboy present. 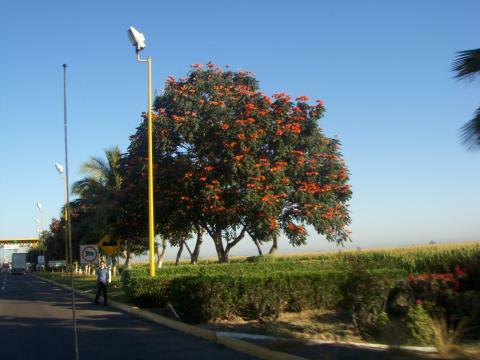 Our day’s destination of San Carlos is situated about mid-way to the Arizona border from Los Mochis. We arrived at the Totonaka RV Park at about 3:00 PM. The park is quite full. The spaces are all back in and a little on the slim side. As we discovered on our trip down, the park voltage gets extremely high, about 134 volts, late at night when energy use is low. We plan to leave here on Thursday and head to the border entering at Nogales, AZ. You are currently browsing the archives for the Mexico – Sinoloa category.